Contrary to popular believe Monaco was not torn down by bulldozers. 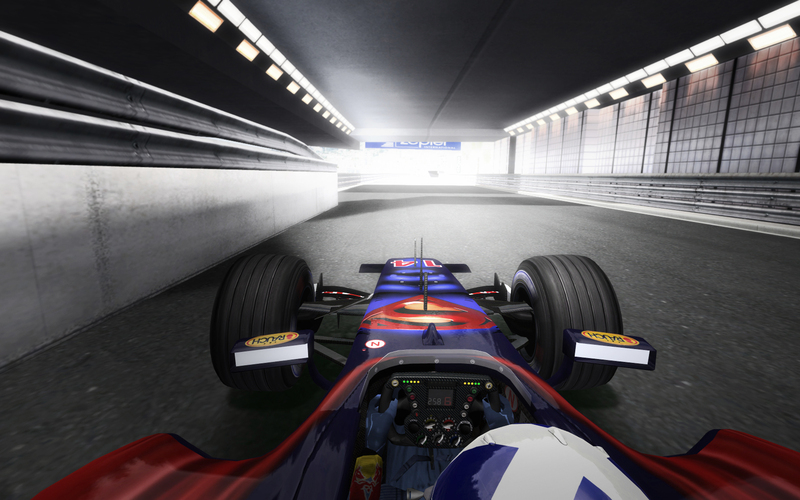 rFactor is crying out for a decent Monaco with the new (now old :P) pitlane from 2004! Looking forward to this one big time! Pingback: WIP CTDP F1 2006 Season - Seite 18 - Forum des Virtual Racing. e.V. Looks stunningly stunning, you lift this game to an entire new level. This is the track that is needed the most, and you are the right guys to make it. Dont be too sure with your release dates :D. And CTDP cant and wont tell you when the release is. Ah no i forgot write “when its done”. How many time’s do we have to tell you people, we are a small team and don’t have the man power such as MMG and others have and our mod is X18 times bigger than that of MMG’s they’ve only had to create 11 cars we’ve had to create 11 cars with 198 different upgrades throughout the year also 198 different physics the list is endless but if you even knew a little about the amount of work it is to create this you wouldn’t be moaning. physics tests are running, the real mayhem will start soon, we are currently creating the full testplan. My biggest fear is that people who constantly nag for release will eventually exhaust the patience of modders. Who would then walk away and never create anything. That would be a truly frightening reality. we have 11 teams, each with 6-15 liviries, in 18 track configurations for 3 Dx-Mods in various qualities. We have a long list of things that will need to be tested and checked. Looooooong list. anyway, bad quality road texture..